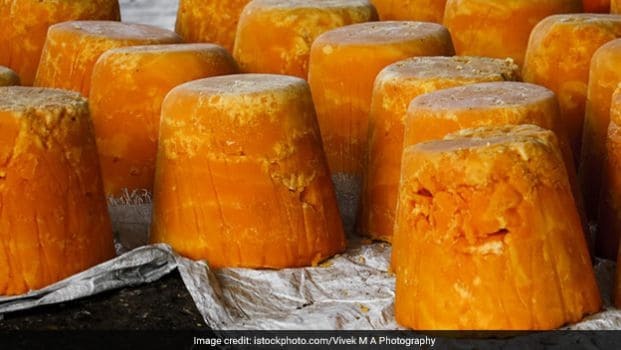 How To Tell That The Gur/Jaggery That You Are Buying Is Pure? With temperatures dipping across the country, it is time to welcome all the warming foods the season has to offer. 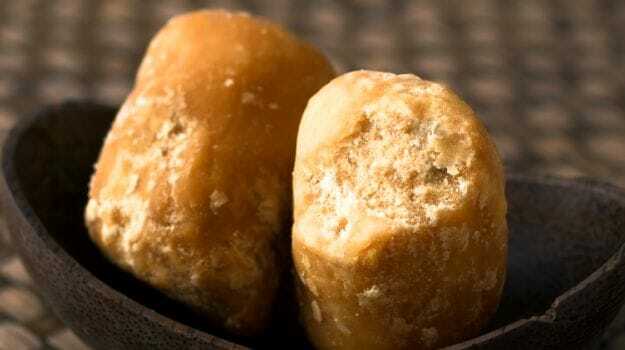 Jaggery, or gur as it is known in India, is definitely one of them. You will soon find shops, road-side vendors and even thela-wallahs selling this traditional Indian favourite. This age-old, unrefined form of sugar is known for its many health benefits; it is an excellent digestive, is known for being a rich source of iron and vitamin C and also helps improve blood circulation to name a few. 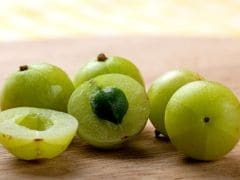 In addition, gur is known to keep our bodies warm, which is why it is usually recommended to be consumed in the winter months. It's a really good seasonal delight to enjoy if you can get your hands on some quality stuff. But how can you be sure that what you are buying is pure or not? Fret not, as we tell you how to identify good quality jaggery and the parameters to check for its purity. Jaggery is a sweetener that is made from sugarcane and is obtained by boiling raw and concentrated sugarcane juice. It is known to be a healthier alternative to white sugar because of a superior nutritional profile. However, both have similar calorie content. Sugarcane juice is boiled for quite a few hours before adding it in the moulds and is further kept to cool off and let it harden. On the other hand, white sugar has to go through crystallization and several other processes in before it is packaged for consumption. Why is this the season to have jaggery? Health experts have always recommended eating jaggery in winter only, considering jaggery produces heat in the body further causing stomach problems. Therefore, one should avoid consuming jaggery during hot days. Do taste a piece of jaggery; it should not taste even slightly salty. If it does, this may indicate a high concentration of mineral salts. The salty taste can also tell you if the gur is fresh or not, the older it is, the saltier it gets. 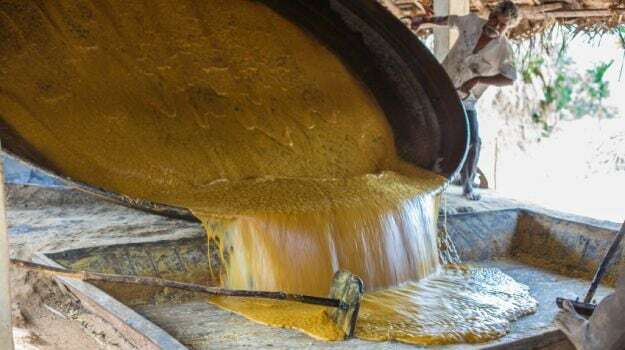 If there is any bitterness in the gur or jaggery, it means that it has gone through the process of caramelisation during the boiling process. Check for any crystals on the jaggery. Presence of crystals indicates that the jaggery may have gone through other processes to make it sweeter. The colour of the jaggery also plays an important role in identifying purity. Ideally the colour of the jaggery should be dark brown. The yellowish colour in gur may indicate chemical treatment. Prefer buying hard jaggery; this ensures that there are no additives added while boiling the sugarcane juice. Most vendors add chalk powder in jaggery, hence, in order to check for its presence, all you need to do is take a transparent bowl of water and dissolve a piece of jaggery in the water. You will see the powder settling down in the water. There is a chance that artificial colour is used to give jaggery the right colour. Take half a teaspoon of jaggery and add six millilitre of alcohol to it and mix well. Now add 20 drops of concentrated hydrochloric acid. If the jaggery turns pink then it means that artificial colours have been added to this lot. So enjoy your bite of jaggery without having to worry about adulterations by following these simple steps. Stay healthy!